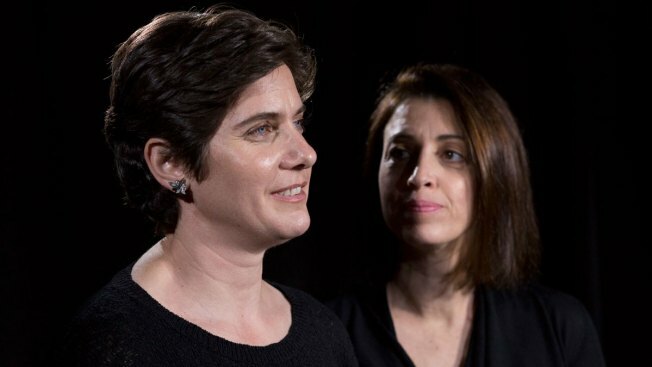 Filmmakers Moira Demos, left, and Laura Ricciardi talk during an interview, Friday, Oct. 19, 2018, in New York. The second season of their Netflix series "Making a Murderer" premieres on Friday. Netflix's "Making a Murderer" was a global hit, introducing the world to the case of Steven Avery and his nephew Brendan Dassey, convicted of murdering a Wisconsin woman. Season two, with 10 new episodes, is now available on Netflix. It updates viewers on the men's attempts to turn around their convictions to get them released from prison. In response to criticism that their version is one-sided, directors Moira Demos and Laura Ricciardi say the journey the cameras are following has always been Avery and Dassey's, but they've kept their opinions out of it. They also list at least 70 names at the end of each episode of people who declined or didn't respond to requests to be interviewed for part two.